I’ve gone through quite a few planners since high school, from inexpensive academic monthly booklets to big spiral bound monsters to whatever I buy on impulse at Target. 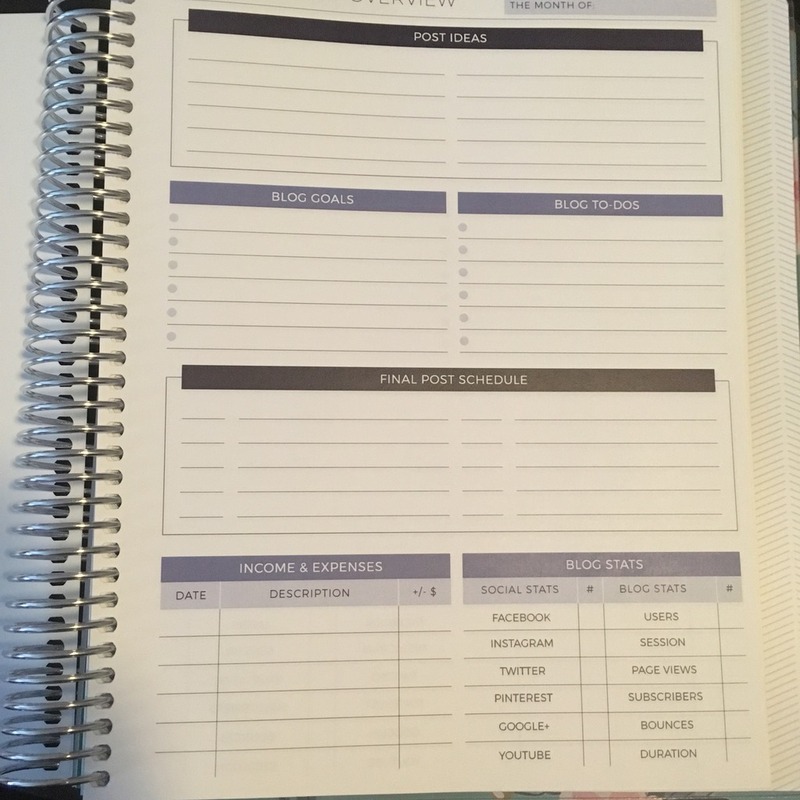 My go to brand, though, is the Plum Paper Planner. They come in multiple sizes and styles, and there’s a million ways to customize them. 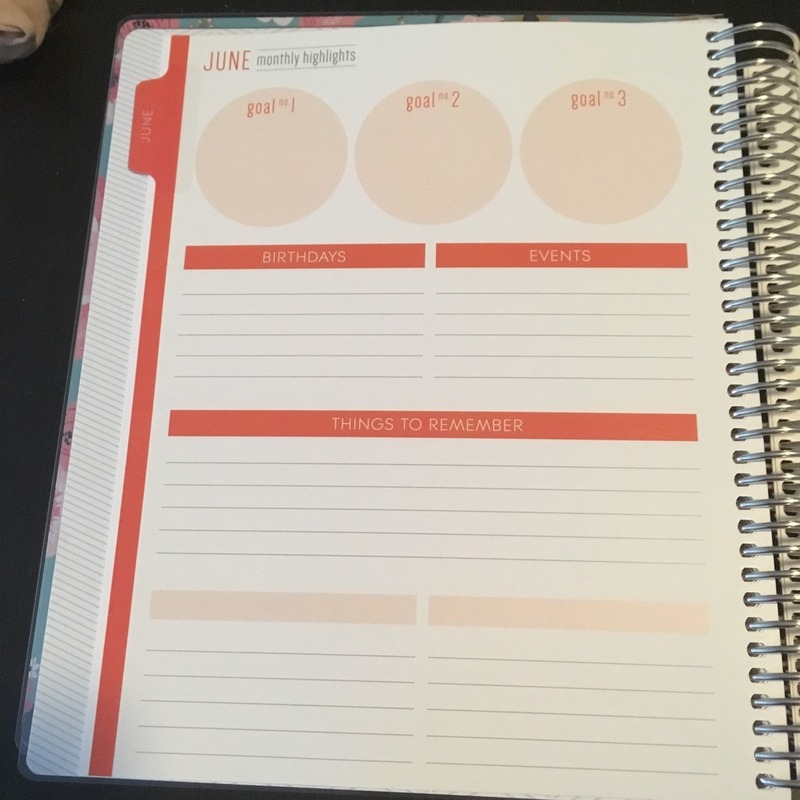 I’ve previously used their vertical lines version, but this time I decided to try their Me Planner, which has seven customizable subject boxes. When I ordered the planner initially, I checked everywhere for a coupon code and couldn’t find anything higher than 10%. Imagine my dismay when not more than half an hour later the Plum Paper Facebook page posted a 25% code! Luckily I was able to email their customer service and they were able to honor the 25% off, which made a big difference. 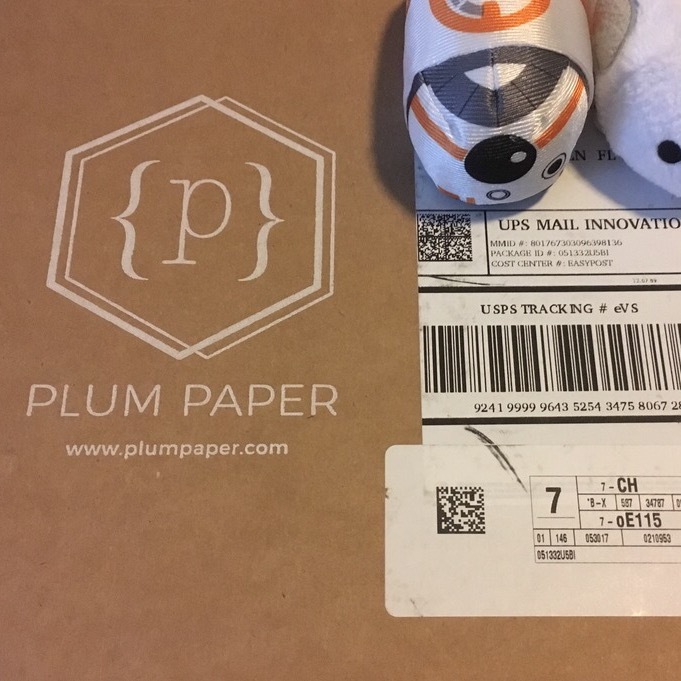 My planner was shipped in a really sturdy cardboard box with the Plum Paper logo. (Who knew Tsum Tsums were good address deflectors?) The packaging was great; there was absolutely no damage to the outside and the planner inside was wrapped in clear plastic. 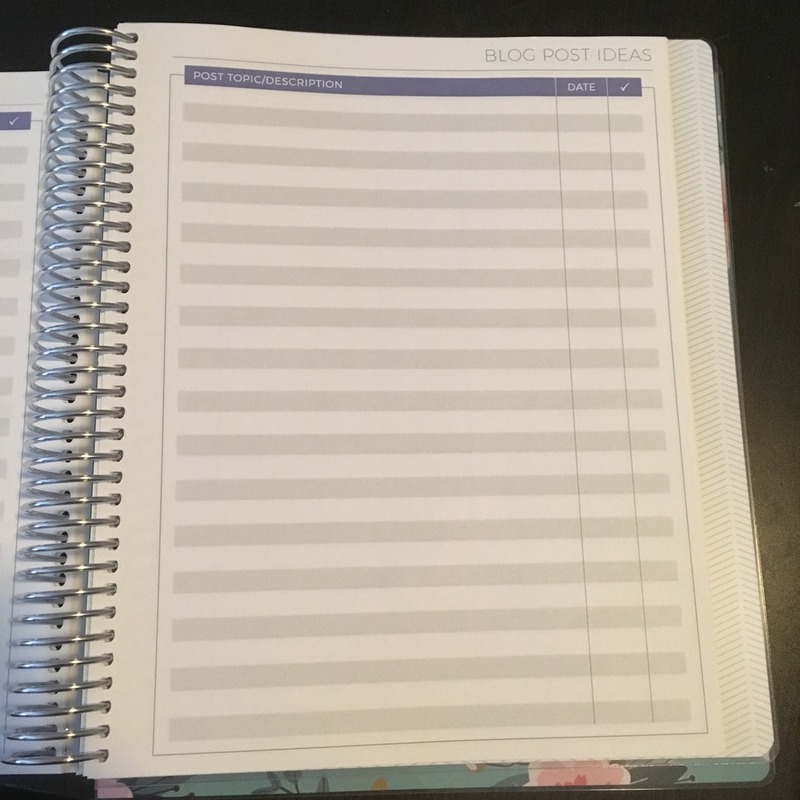 I’ve had two Plum Paper planners before; my first one had a clear plastic cover with a printed paper cover underneath and the second one was a sturdy but bendable kind of vinyl. 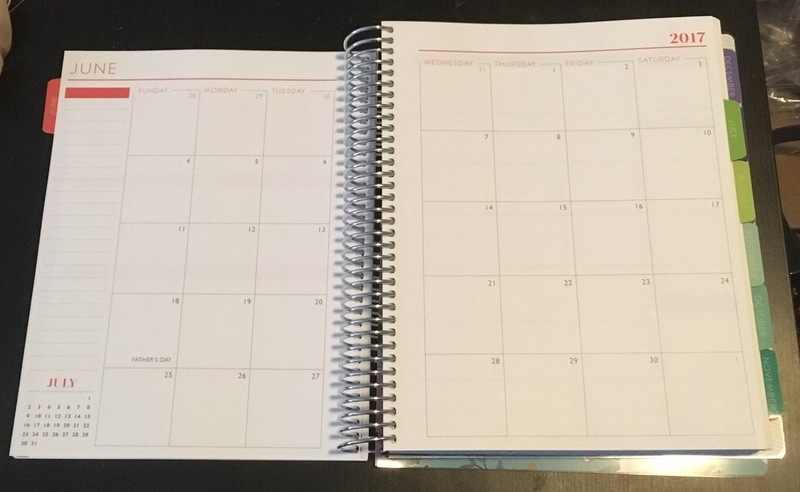 My newest planner is a hybrid of the two- a clear plate cover with the sturdy printed vinyl cover underneath. So far I’ve been able to carry it around in my work backpack without any damage, so fingers crossed it holds out! 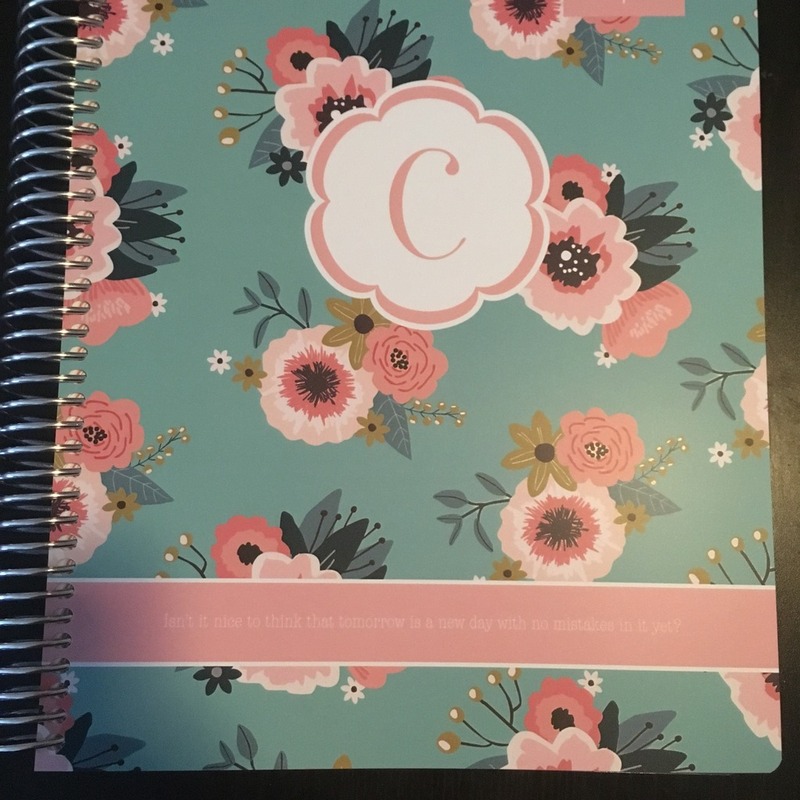 The new covers are also customizable; I chose the aqua variation of a floral cover and added a C monogram. I also added a quote from Anne of Green Gables: “isn’t it nice to think that tomorrow is a new day with no mistakes in it?” (It’s actually from the third Anne book if I remember correctly, but I digress.) Apparently Plum Paper covers can all be swapped out now as well, but I haven’t tried that yet. 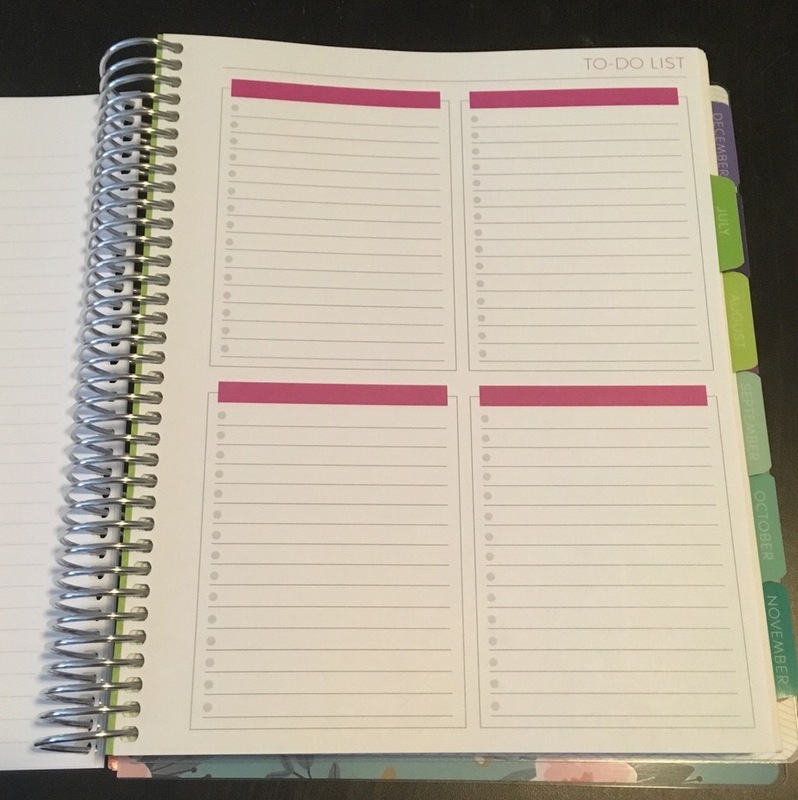 The first few pages include a yearly calendar at a glance for 2017 and 2018, a spread to write monthly birthdays and events, and a spread for “ideas, plans, and goals.” Then it goes into the individual months. Each month begins with bubbles for three monthly goals and sections for birthdays, events, and things to remember. There’s also a notes page, which I use to help map out my rewards for my weight loss progress. Each month has a full month at a glance spread with an additional column for notes or lists. Nothing to write home about, but still useful and still important. The weekly view is really when things get exciting. 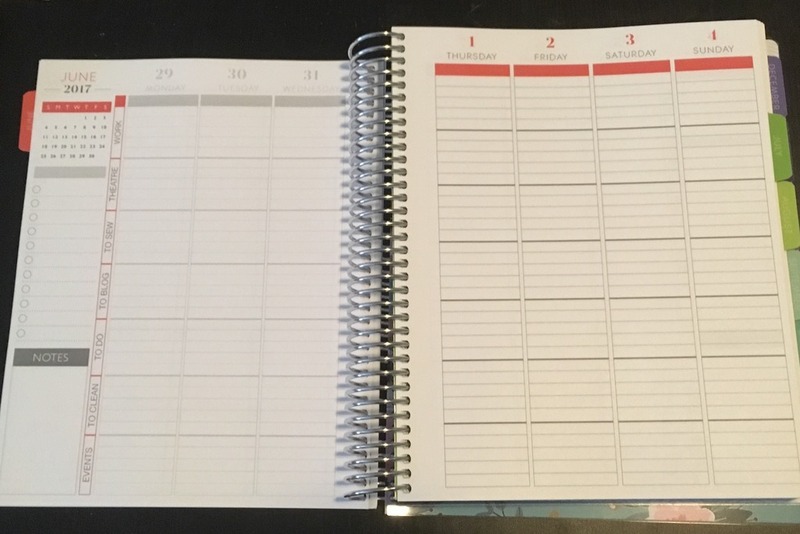 Like other planners, each week has a full vertical column for each day, but each column is divided into seven specific categories. Plum Paper does charge if you want your sections to be labeled, but I personally thought it was worth it. I divided my categories into work, theatre, to sew, to blog, to do, to clean, and events, and it makes it so much easier to organize my days without having to spend a ton of money on stickers. One of the biggest perks of a Plum Paper is the customization. I chose to add an extra note page and a page of to do lists. Listen, I just love to do lists. I definitely needed them. I also opted for two bonus sections, fitness and blogging. 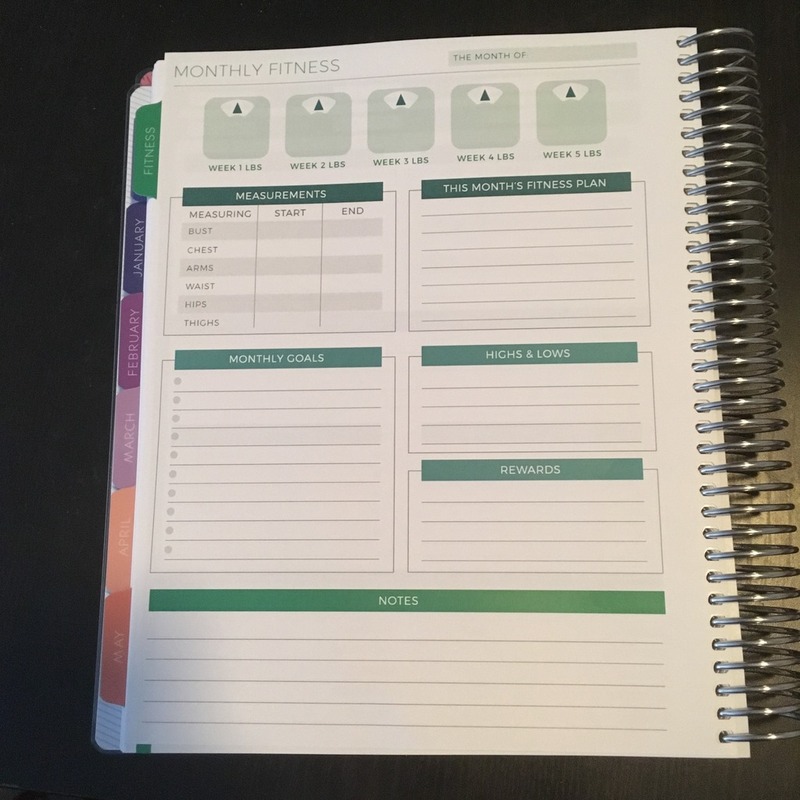 The first page of the fitness section has space to document measurements, weight, goals, and rewards for the year and the last page has a graph to chart changes in weight. 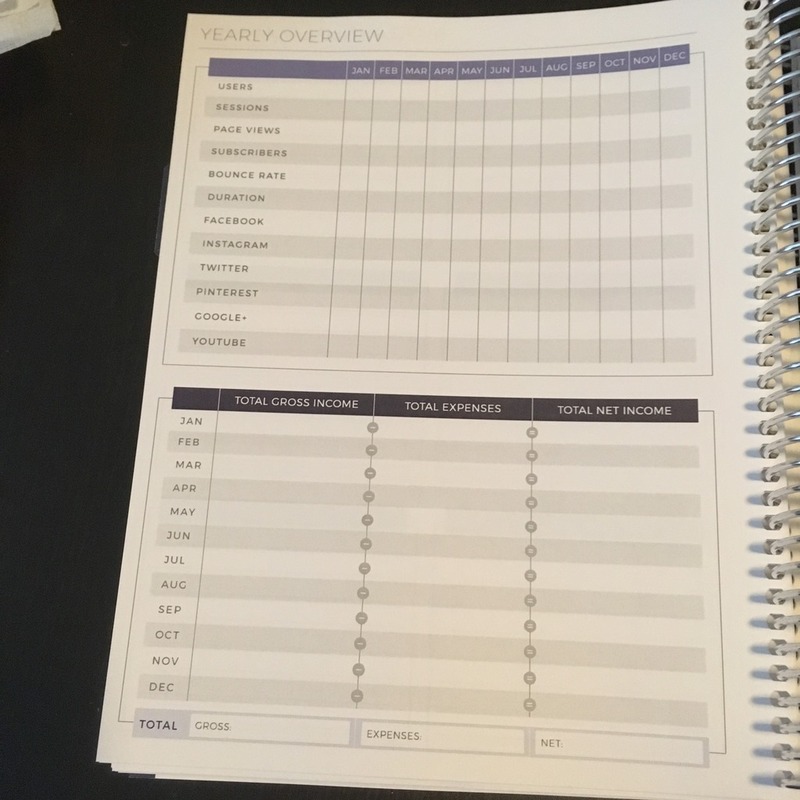 Each month has a two page spread to track weight, measurements, the month’s fitness plan, daily exercise, and daily water intake. The blogging section begins with monthly overview pages for ideas, goals, and stats. 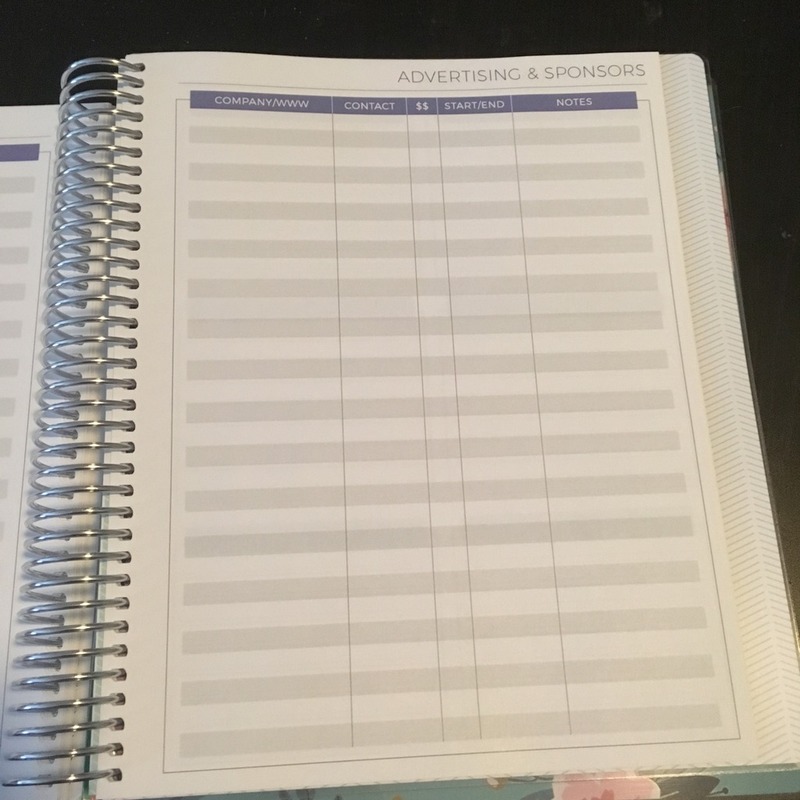 The section also included pages for post ideas, tasks, to do lists, giveaways, reviews, advertising and sponsors, and a page to track stats and profit over the course of the year. The rest of the planner is pretty standard- a page each of graph paper, passwords, contacts, and holidays, plus a sturdy two sided pocket. Overall, I’m a huge fan of my Me planner. Not only does it keep me super organized, but it’s a well made and incredibly customized product with sturdy dividers, a great cover, and literally the smoothest paper I’ve ever written on. I might not even need to order stickers for it! I’m also a huge fan of their customer service, so I can pretty much guarantee I’ll order from them again. 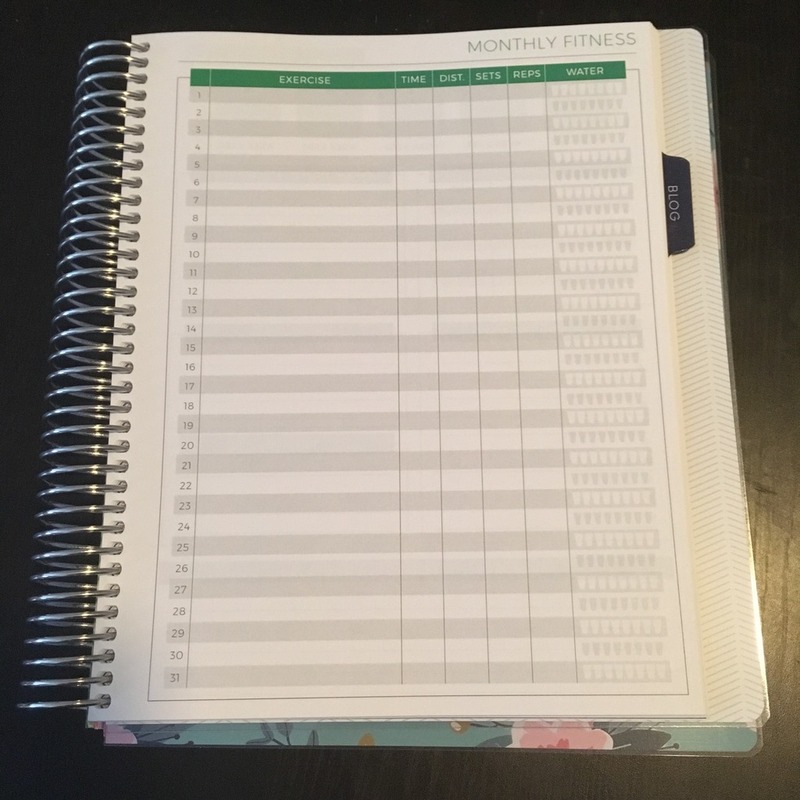 Comment below if you want to see more about my Me planner- more photos, a plan with me, or more detailed looks at the fitness or blogging sections! « Get to Know Me!